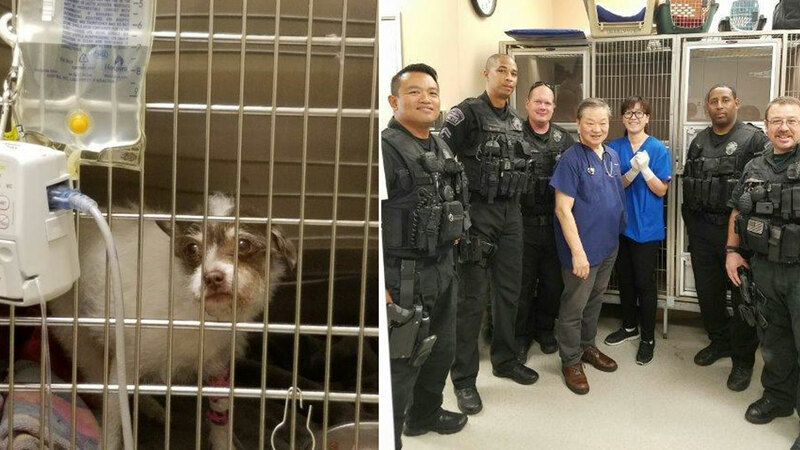 LOS ANGELES -- A dog named Roxy is recovering at a Los Angeles veterinary center after being hit by car thanks to the quick actions and kind hearts of airport police officers. McLeod thought the car had broken down or an accident had occurred, so he stopped to see if help was needed. When he approached the car he found out the driver had accidentally hit a small dog. He informed his fellow airport officers about Roxy's fate and they quickly decided to save her life. He, along with five other officers, pitched in and collected $400 to pay for her reduced medical expenses.